From 20th Century Fox and producers Wyck Godfrey and Marty Bowen of Temple Hill Entertainment, producers of the phenomenally successful Twilight series and The Fault in Our Stars comes “Love, Simon”, the most socially relevant YA film ever to be produced, overflowing with universal feels based on the book by Becky Albertalli. 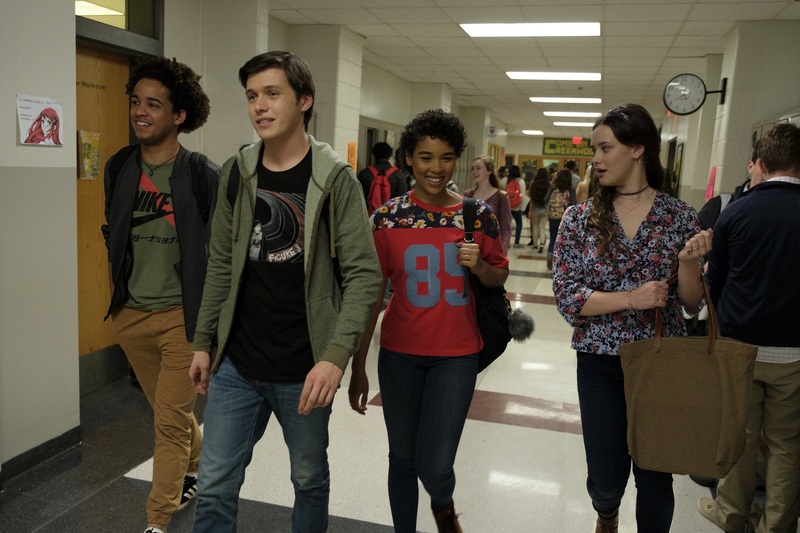 “Love, Simon” stars this generation’s coolest actors with Nick Robinson in the title role. Robinson’s recent films include “Jurassic World,” “Everything, Everything” and “The 5th Wave.” Along with Robinson, Katherine Langford also stars as Robinson’s best friend, she is best known for her role as Hannah Baker from the phenomenal Netflix series “13 Reasons Why”. Completing the impressive young cast are Keiynan Lonsdale (CW’s “The Flash”), Miles Heizer (“13 Reasons Why”), Alexandra Shipp (“X-Men: Apocalypse”), Jorge Lendeborg Jr. (“Spiderman: Homecoming”), Logan Miller (“Before I Fall”), Talitha Bateman (“Annabelle: Creation”) with Jennifer Garner and Josh Duhamel. Now a major motion picture, the movie opens up with seventeen-year old Simon Spier’s (Robinson) a little more complicated life: he’s yet to tell his family or friends he’s gay and he doesn’t actually know the identity of the anonymous classmate he’s fallen for online. “Love, Simon” opens May 9 nationwide from 20th Century Fox – with whole day sneak previews on April 30 and May 1.